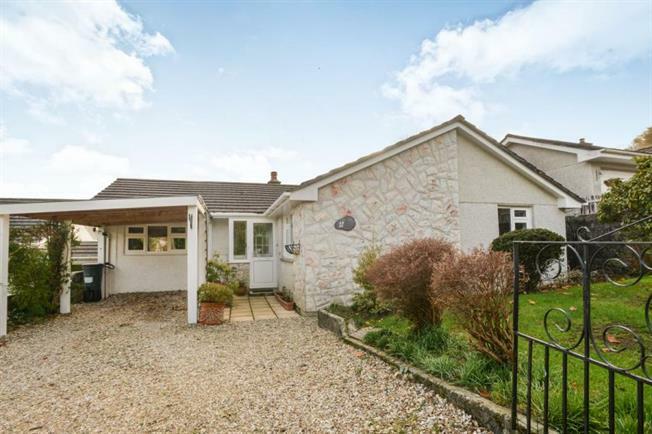 3 Bedroom Detached Bungalow For Sale in Gunnislake for Guide Price £270,000. FEATURED IN THE BIG OPEN HOUSE Guide Price 270,000 - 280,000 Situated within a quiet cul de sac with amazing views over the Tamar Valley, is this suberb three bedroom bungalow. Accomadation comprises of three double bedrooms, master with ensuite, large kitchen/ diner, familly bathroom, utility and lounge leading to a conservatory, where you can enjoy the stunning views over the valley. With off road parking and beautiful gardens this bungalow will not be avaliable for long so book your viewing today 01822 616121. Radiator, tiled surround, corner shower unit, wash hand basin, low level WC, extractor fan. Upvc windows to rear, mixture of matching wall and base units, plumbing for dish washer, electric hob and extractor fan, Built in grill and oven, 1 and 1/2 sink and drainer with mixer taps, door to side. Upvc windows to side, bath with mixer taps and shower head and glass shower panel, large sink unit, low level wc, wall mounted heated towel rail.